Coolermaster introduces their series of monster-fans for replacement or upgrading! 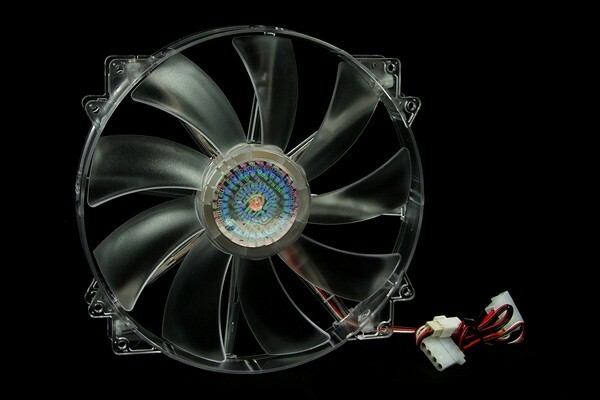 The case manufacturer Coolermaster has developed these fans to give the ultimate answer to the standard problem: To provide sufficient Airflow without producing extremely high noise levels. The best and most efficient solution is an increase in fan size. This is just what the engineers at Coolermaster have done! This fan is not only practical, it is also optically very appealing. The technical side of the fan is developed with years of know-how from Coolermaster which results in an extremely quiet and extraordinarily powerful performance of this exceptional fan! The LEDs which were integrated into the frame shine a beautiful light on the case and the fan which gives a whole new look to any system!